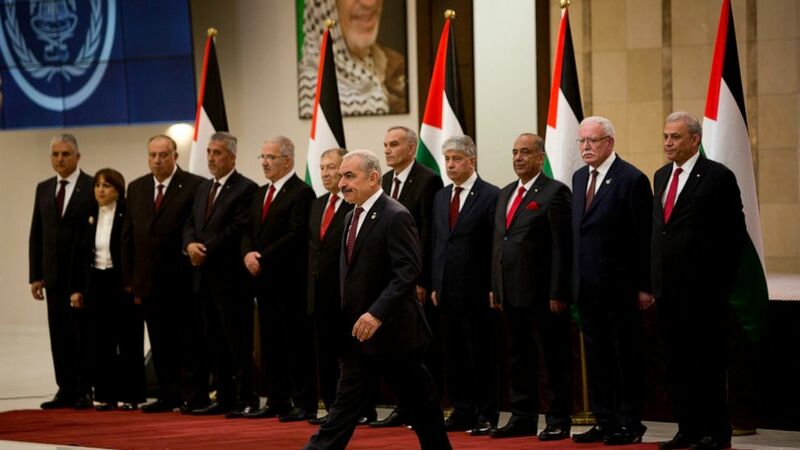 New Palestinian government sworn in amid factional tensions. Palestinian President Mahmoud Abbas on Saturday swore in a new government headed by a loyalist from his dominant Fatah party, a move rejected by his Islamist rival Hamas as a blow to unity efforts. Palestinian President Mahmoud Abbas swears in a new government led by a longtime ally, Mohammed Ishtayeh, who is critical of Gaza's Hamas rulers and a proponent of continuing peace talks with Israel.